As AmaWaterways’ 144-guest AmaLyra made its way back into Paris earlier this month, I stood out on deck to take a beautiful sight. Ahead of me: the iconic Eiffel Tower and in front of it, a replica of the Statue of Liberty (the authentic one in New York was a gift to the United States from the people of France). The morning sky was cool and overcast, streaked with clouds that appeared like a curly white mane blowing in the wind. It felt good to be alive and in Paris on this early morning in the City of Light. 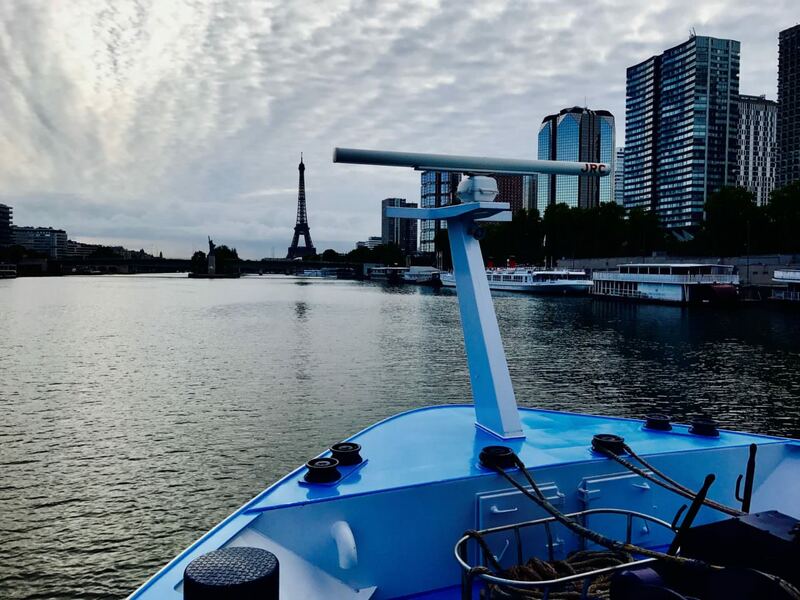 As we approached the Quai de Grenelle, where most Seine river cruisers tie up, I reflected on what had been a beautiful journey on one of France’s most storied rivers. Indeed, a cruise along the Seine is like no other. 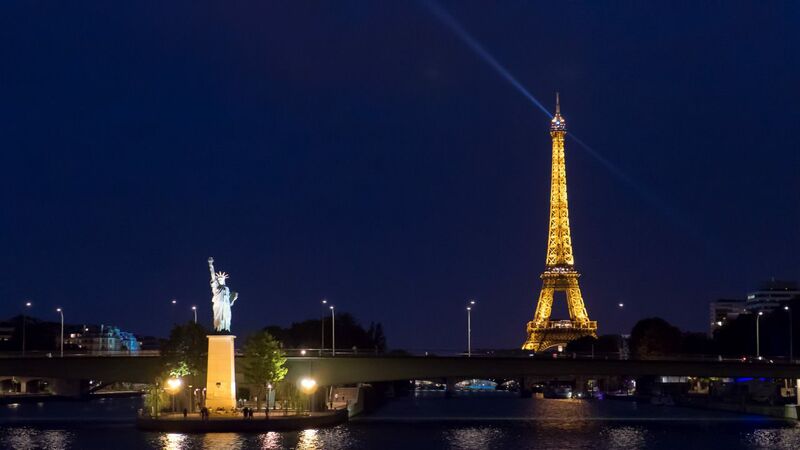 Few river cruises, for example, are bookended by such an icon as the Eiffel Tower. Constructed as the entrance to the 1889 World’s Fair, the Eiffel Tower was illuminated on the evening that we sailed from Paris. Like champagne being uncorked, the sparkling monument was the perfect toast to our week ahead. As we all stood out on deck snapping photographs, I knew we were off for a week that none of us would soon forget. After leaving Paris, I awoke the next morning for AmaLyra’s approach to Vernon. Once docked, I got on a bike and pedaled for just a few miles to reach Giverny. The gardens here were immortalized by the great impressionist artist Claude Monet, who lived here in a gorgeous two-story house overlooking his beloved gardens. Monet’s gardens continues to inspire the artist in all who visit this beautiful floral paradise. 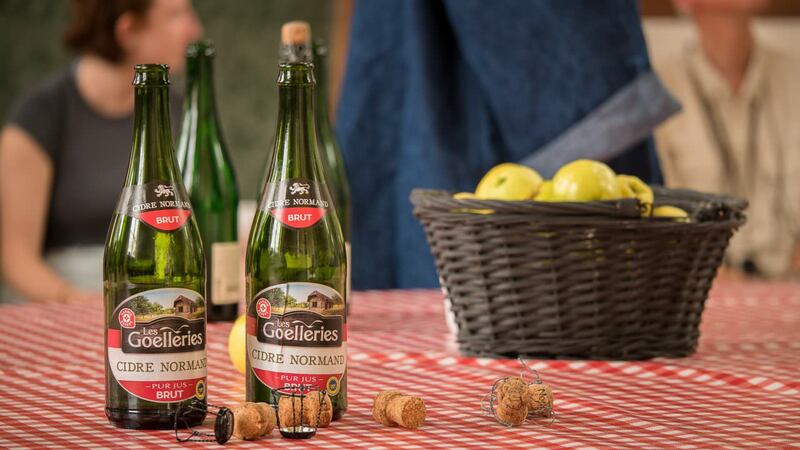 Following the garden visit, AmaWaterways had arranged a special event for us at Chateau Bizy, a former Royal Residence where we stepped inside for a taste of Normandy, learning about local cheeses, apple cakes and the potent apple cider that is so well known in this region. Our next stop was Caudebec-en-Caux, situated 27 miles downriver from Rouen, and the stopping point for river cruise vessels that do not have the maritime authority to proceed to Honfleur. From Caudebec-en-Caux, which derives its name from the old Danish kaldr bekkr, meaning cold stream, (remember, the Vikings – or Norseman – settled much of Normandy), cruise companies run a variety of excursions over a couple of days. AmaLyra overnighted in Caudebec-en-Caux, with excursions running over two days. I opted for the complimentary excursion to Honfleur, with its picturesque narrow houses encircling a colorful harbor. 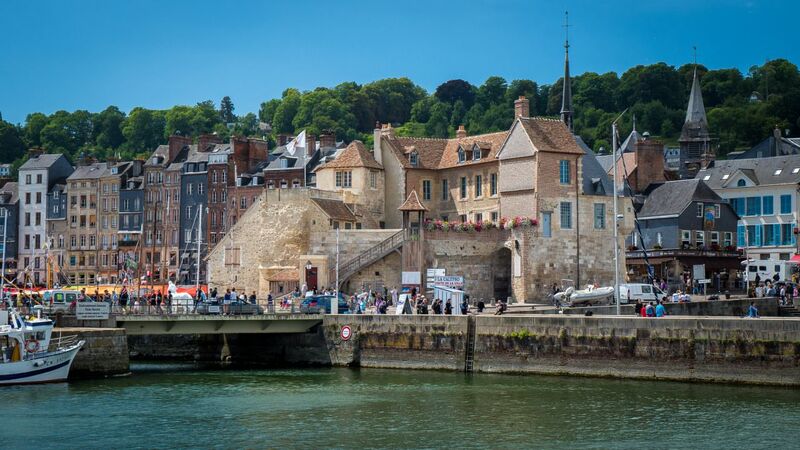 Honfleur is one of Normandy’s most beautiful towns. The harborside cafes were inviting and I wanted sit down to enjoy fresh seafood but I settled for a crepe topped with Nutella instead. On the day that I visited Honfleur, others took the excursion to Fécamp. It was in Fécamp that, according to medieval legend, the trunk of a fig tree carrying the blood of Christ washed ashore, causing a fountain of blood to gush from the site. Fécamp became a pilgrimage site and home to the Benedictine Palace, where guests sampled a special liqueur made from herbs and spices. The weather was stunning the next morning when we departed AmaLyra, still docked in Caudebec-en-Caux, for full-day tours. Some visited the D-Day Landing Beaches, where the Allied invasions of Normandy took place on June 6, 1944. Thousands of courageous soldiers came ashore to begin the liberation of German-occupied France during World War II. 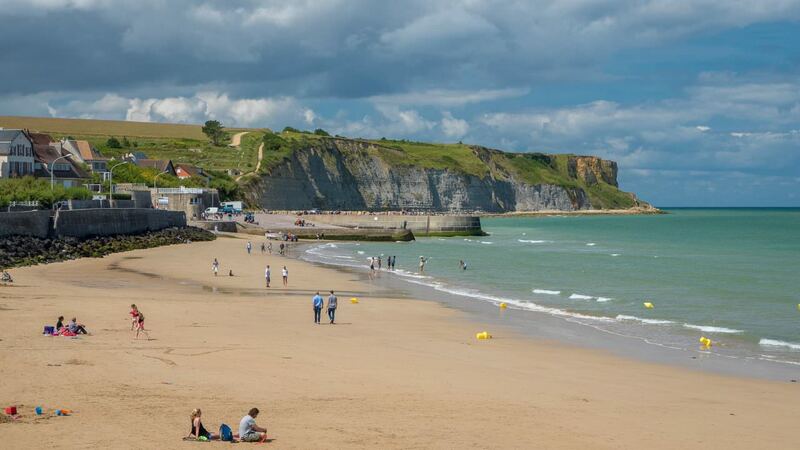 Having been to the Landing Beaches, I opted to tour Pays d’Auge, an area in Normandy straddling the departements of Calvados and Orne, a region known for its beautiful countryside and quaint villages. With more than 800 varieties of apples (yes, that’s 8 zero zero), the countryside of Normandy sprouts with apple orchards and bucolic farms. The drive alone was pleasant enough. I enjoyed walking around charming villages with their Sunday markets and visiting Chateau du Breuil, where I learned about the distillation of Calvados, an apple brandy. Rouen was next, with its impressive cathedral and the sad square where the martyr Joan of Arc was burned at the stake. The city was lovely with its half-timbered houses and on a pedestrian street, a clock tower on one end and the Rouen Cathedral at the other end. AmaWaterways offered guided bike tours and hikes in Rouen. The morning hike took us up the hill of Sainte Catherine for panorama of the city. In the afternoon, I joined a Gourmet Tour, where I learned how chocolate was made in a local shop. The tour continue to an off-the-beaten-tourist-trak restaurant where I sampled other treats from Normandy . One last stop before proceeding to Paris. The transit upriver to Les Andelys was gorgeous, with sheer white cliffs lining the north side of the river, and the jewel that is Les Andelys ahead. Rainfall by the buckets, however, made touring a wet affair, despite the umbrellas. Still, it was worth the walk to visit the ruins of Chateau Gaillard, perched high on a hill overlooking the Seine valley. The medieval castle was built by Richard the Lionheart, King of England, and was said to have been his favorite residence. I could certainly see why. Back in Paris the next day, AmaLyra offered a couple of tours. The Covered Passages Excursion visited the areas around today’s Grands Boulevards. The many glass-roofed shopping galleries were created in the 19th century. Their purpose was to allow shoppers to take a shortcut or get shelter from the rain, with the chance to shop or dine. 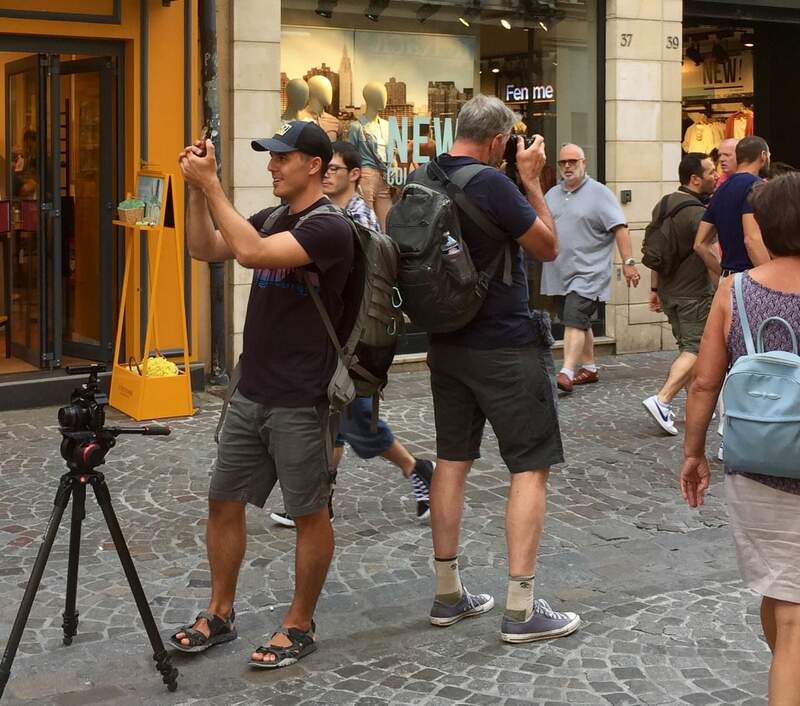 The District Marais Excursion allowed guests to feel medieval Paris. The area of Le Marais, with more pre-revolutionary buildings than any other area in Paris, is now a fashionable district with small shops, cafes and restaurants. Cruising roundtrip Paris along the beautiful Seine river is for those who appreciate the age of Impressionism, which lives on in Monet’s Gardens. The Seine is for those compelled to honor the soldiers who died on the sandy beaches that are today filled with tourists. The Normandy region is renown for its beauty, its palatable flavors, its gorgeous countryside and the D-Day Landing Beaches. Bookended by Paris, a cruise along the Seine speaks to the sublime pleasures of exploring a narrow ribbon of river that inspired a handful of French Impressionists and that continues to inspire Francophiles today. Men at work in Rouen: Chris Stanley, left; Ralph Grizzle, right. My list is by no means comprehensive, but it covers the major operators for English-speakers. Looking to take our first river cruise. Thank you for the information article and chart. I have cruised the Danube with APT and the Saone / Rhone rivers with Avalon, both excellent river cruise coys, however we preferred the Avalon atmosphere and dining. both destinations were excellent , however the Rhine Danube cruise was the ultimate. 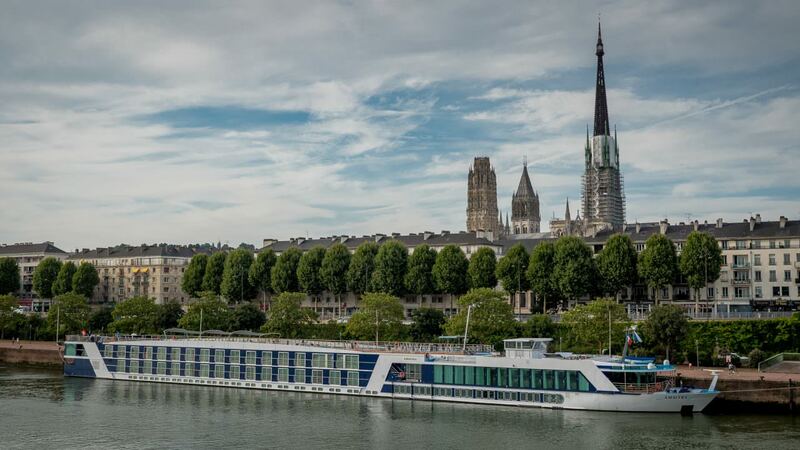 Next river cruise hopefully will be the Seine with AmaWaterways – I have been researching the company offers on their webpage over the last few months. AmaWaterways also offer river cruises on sections of the Rhine Danube rivers, many 7 days, which appeal to us as we have previously cruised with APT Budapest to Amsterdam. Appreciate your review of AMA WATERWAYS cruise! Thanks so much for the chart. I am looking at cruising the Seine in the late spring of 2018 and this will help with my decision making. I have sailed with Scenic before and am on the Crystal Mozart in November. What other companies would you recommend.